The Mendoza Review refers to entrepreneur, publisher and philanthropist, Neil Mendoza, who is a non-executive board member of the DCMS and was the lead independent reviewer in the report. He was supported by officials at DCMS and engaged closely with the museums sector, ACE, HLF and Historic England. The review looked at what the national infrastructure for museums is, what it could and should be, the museums sponsored directly by government, and the challenges and opportunities for all of England’s museums. The review found that England’s museum sector currently employs around 33,000 people and while the review focuses primarily on the 1,312 ACE accredited museums, it does consider the wider context of the sector, which encompasses approximately 2,000 museums in England. The review does not cover the policy of free admission to the permanent collections of national museums as this is it says that this is a manifesto commitment. The review also consulted with museums in Scotland, Wales and Northern Ireland. 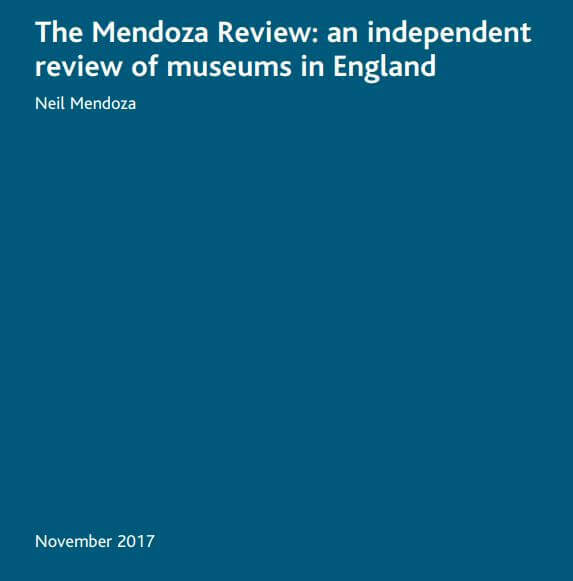 The Mendoza Review proposes recommendations enabling a more strategic approach to public funding for museums from government and its Arm’s Length Bodies (ALBs). It highlights the increased importance for government and its ALBs (including the National Lottery) of distributing funding in a more joined-up and effective fashion. A more active role for Historic England; and national responsibilities for national museums. The report also lists the different ways the Government funds museums and says for the first time it has identified and quantified as many of those funding streams as possible. via Her Majesty’s Revenue and Customs (HMRC) in tax reliefs and Her Majesty’s Treasury (HMT) by grant. The review notes that over the past ten years, although nominally maintained, funding overall has reduced by 13 per cent in real terms and recommends museums do need to increase and diversify their income further. The Review also sets out ideas for local authorities on how to make best use of their museums, and best practice suggestions for the sector itself. 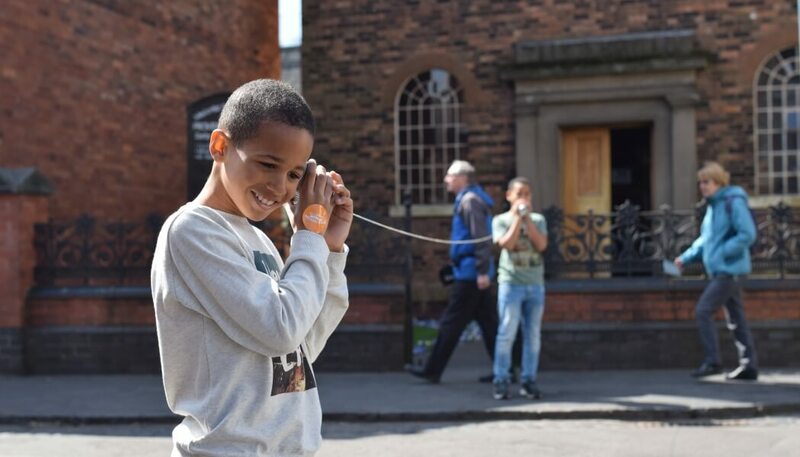 The review’s recommendations are already being tackled in one way or another by museums across England but Glen noted that it would create a solid foundation for how the Government will do a better job at putting in place the conditions museums need to serve their audiences, care for collections and have sustainable futures as key factors in the local communities and economies. The Government also published today a Strategic Review of DCMS-sponsored museums alongside the Mendoza Review. It says this is the first clustered review undertaken by any government department, following Cabinet Office guidelines for tailored reviews. It examines the form and functions of 16 ALBs (15 museums and the British Library) sponsored by DCMS, their functions, forms, effectiveness, efficiency and accountability.